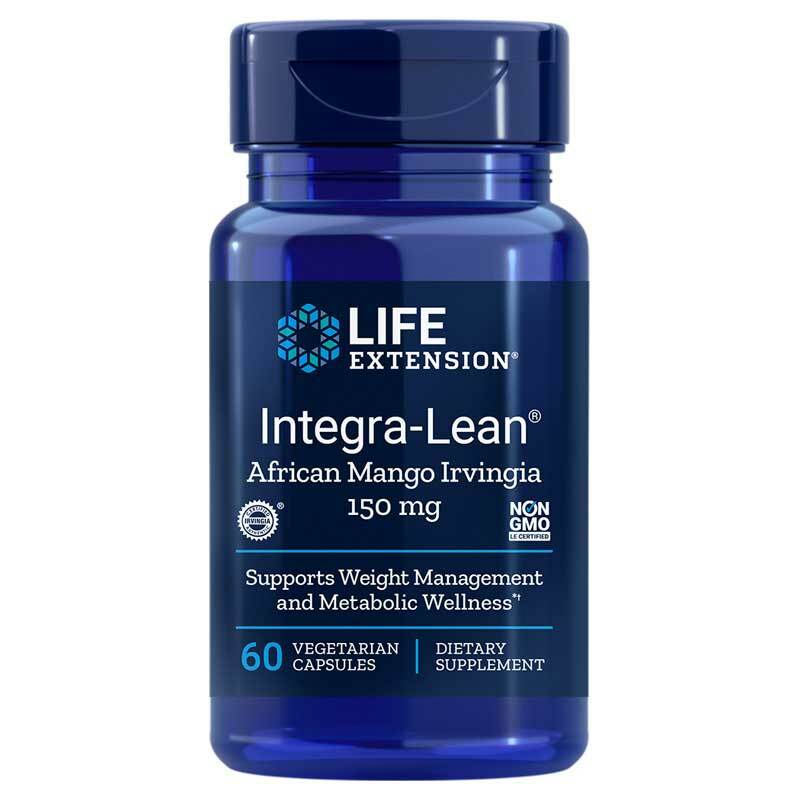 Integra-Lean African Mango Irvingia from Life Extension provides a natural appetite suppressant extracted from white beans to support healthy weight loss and appetite control. Gaining control over your body's command signals is critical to maintaining a healthy weight. And scientists have now identified specific biological mechanisms that cause aging people to gain weight, no matter how little they eat. The problem has been that there was no way to circumvent the underlying factors that cause excess body fat -- until now. Normally, a hormone called leptin tells our brain we have consumed enough calories and can stop eating. It also stimulates a process that breaks down fat stored in cells. As we age, however, our cells, including the appetite control center in our brains, become "leptin resistant." This means that leptin is unable to regulate body weight. Adult-onset weight gain is also characterized by the enlargement of existing adipocytes, or fat cells, so they store too much fat. Weight Management: Fat cells produce a compound that leads to "leptin resistance." Irvingia, however, may help lower the level of this compound in overweight people, supporting the reactivation of leptin. This may support the breakdown of fat in fat cells and tell the brain to turn off chronic hunger messages. 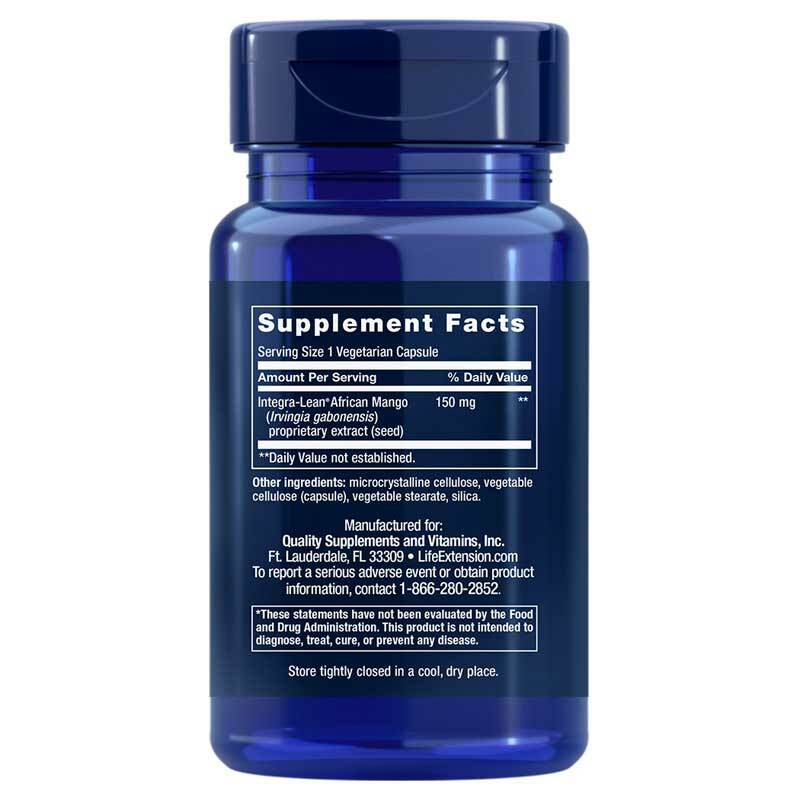 Hormone Support: Large fat cells secrete less of the hormone adiponectin, which helps support insulin sensitivity as well as cardiovascular health. Irvingia may help markedly increase adiponectin levels in overweight people. Weight Loss: An enzyme called glycerol-3-phosphate dehydrogenase facilitates the conversion of glucose into triglycerides that increase the size of fat cells. Irvingia may inhibit this enzyme, thus reducing the amount of glucose, or sugar, converted into fat in the body. Diet: For carbohydrates to be fully absorbed, they must be broken down in the digestive tract by the amylase enzyme. Irvingia may inhibit amylase, reducing the amount of ingested starches that will be absorbed as sugar and converted into fat. Several studies show irvingia may contribute to weight loss. In the largest placebo controlled human study, those taking Irvingia lost 28 pounds compared to only 3 pounds in the placebo group. The study participants did not alter their diet. A dose of 150 mg of Integra-Lean African Mango Irvingia taken twice a day may support a weight management program. Adults: Take one capsule twice daily with or without food, or as recommended by a healthcare practitioner. If you are pregnant or nursing or undergoing medical treatment, please consult your healthcare professional before using this product. Keep out of the reach of children. Doesn't work. Did nothing for me, and 3 other people I know who bought it. That's 4 people that it didn't work for. We read many, MANY negative reviews online. They all said this didn't work. We didn't believe those reviews, and wanted to see for ourselves. Now we've lost the money we spent, and we have half-used bottles of this garbage pill. IT DOESN'T WORK. Buy it, try it, and you'll remember this review of mine. TOTAL RIP-OFF. You should be sued, Dr. OZ. I just started taking this so will update later. There's been no side effects so far. Will update again after I've taken it for a while. Some say it takes a little time to work. Just started using the product today. I can say that it was shipped and arrived almost immediately. After reading the negative posts, I'm certainly skeptical. I too believed in Dr. Oz and have regarded him and his program along with his recommendations highly. If my results are less than desirable he may lose a fan. For now, I can't recommend the product until 30 days worth of use to be fair. I found that Integra Lean Irvingia has helped me. I've Been Taking this for over a month now. Can't beat the price either.